If there’s any skill that every person on the planet wants to have, it’s the ability to make mouth-watering Italian food. 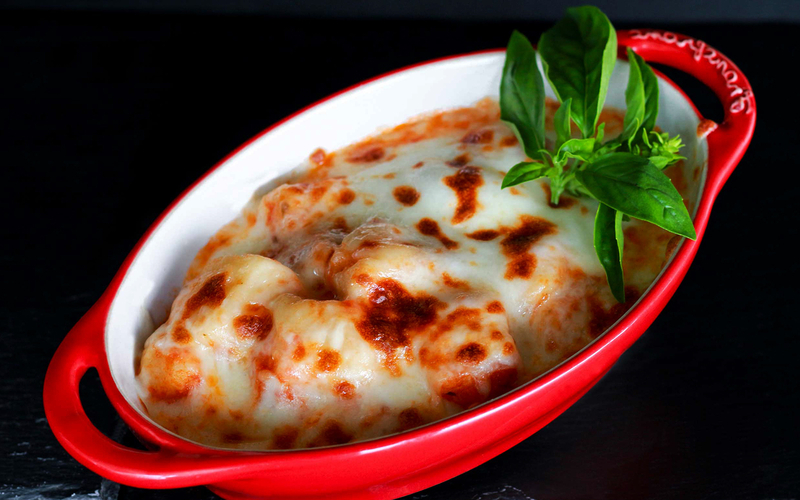 Pasta, gnocchi, cheese, all come to mind upon mention of this country’s world-famous cuisine. Well, this is your chance to learn it. Experience a master culinary class which explores the tastes of Naples and teaches you the many secrets of a true Neapolitan-style meal. It doesn’t matter if you’re an experienced chef or someone who’s entering the kitchen for the first time, you’re definitely going to learn something new here. With a qualified, professional chef taking charge of the class, get ready to increase your Italian cooking prowess. Unlike other cooking classes in Naples, this one actually takes you a considerable distance away. Ride in a comfortable coach towards the Bay of Naples and cook in a scenic setting. After your class is over, you’ll even get to indulge in the food you’ve made in this wonderful setting. Cooking is an art, and this tour is all about exploring that art. But first, escape the clutches of Naples and head towards the Bay of Naples and Sorrento aboard a comfortable coach. 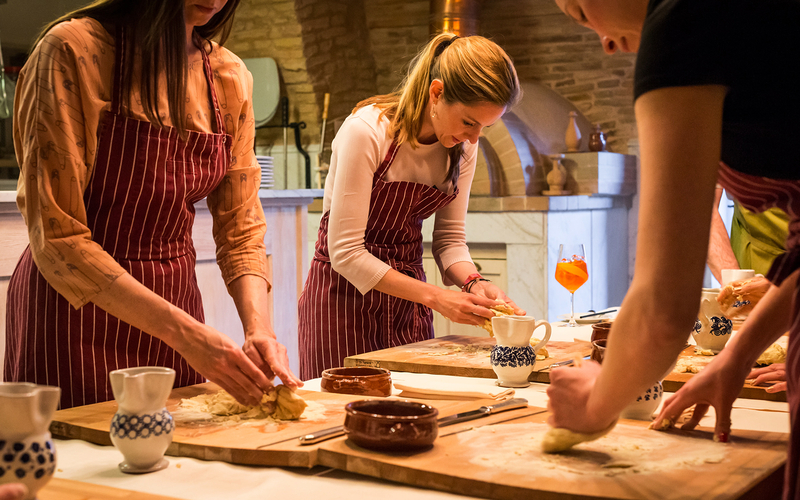 With breathtaking views of the rustic Italian landscape, you’ll begin your culinary class which focuses on a delicious Italian cuisine: Neapolitan. 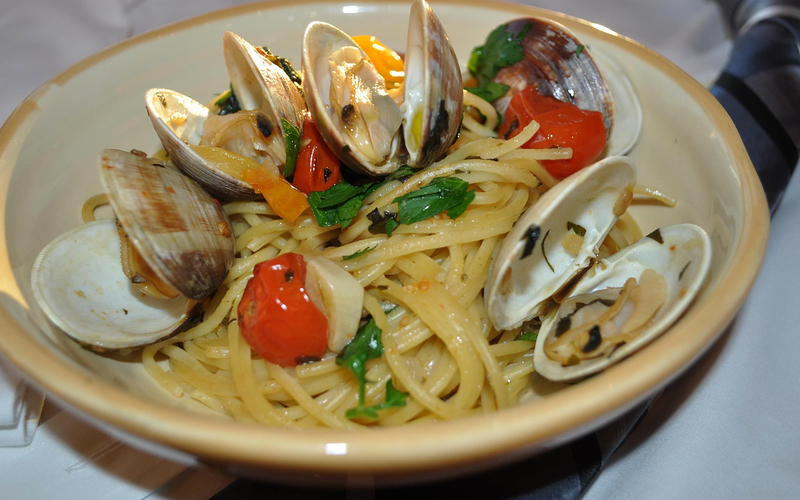 Spaghetti Alle Vongole: A local delicacy made of fresh clams and traditional spaghetti, Spaghetti Alle Vongole is known world-over for its rich flavor and scrumptious taste. Fresh Pasta with Seasonal Vegetables: Pasta is the heartbeat of Italian cuisine. Learn the secrets of making an Italian pasta and enjoy it with some of the freshest ingredients available at the time of the year. The Italian Cooking Class experience is scheduled for two-time slots daily; 10:30 AM and 5 PM. In the next step of the booking process please select the time slot you like before confirming the booking. The class, followed by the dining experience go on for a duration of 2 hours and 30 minutes.